Much has changed in the 30 years since Betsy King first appeared in the first issue of Sports Spectrum. The magazine was called Sports Focus then (1985), and King was coming off a year (1984) where she won three titles and had 21 top-10 finishes to earn LPGA Tour Player of the Year. She continued the hot streak from 1984-89, winning 20 LPGA events—more than any male or female golfer in the world during that span. Before her retirement from the Tour in 2005, she had amassed 34 LPGA Tour titles, with the last coming in 2001, and six majors, her last coming in 1997, and she was inducted into the World Golf Hall of Fame in 1995. Although she admitted her level of play has changed (she still plays on the Legends Tour), her love of the game and passion for her faith has remained just as intense in those 30 years. She now combines both passions through an organization called Golf Fore Africa, a 501 C-3 organization that raises funds for building projects like a medical clinic in Rwanda, which has a maternity ward, an HIV AIDS center and nutritional counseling, as well as helping fund a housing project for AIDS orphans and other vulnerable children. Golf Fore Africa is also helping to bring clean water to thousands of Rwandans and helping with economic development by educating women on how to start and maintain businesses. Her first trip to Africa was 2006 with World Vision. Since then, she’s been hooked. King belives golf ties in well with Christians living. “It’s really interesting because I think there are a lot of Christian principles that are related to golf and there are a lot of things you do in golf that carry over in to life,” she says. “I think like in golf, when you’re playing, you need to have patience. You take one shot at a time. You plan to do something, and then it doesn’t necessarily work out that day, and you have to address the situation that you’re in…You make your plans, or you think you’re doing God’s plan. You start out the day, and things rarely work out the way you planned for the day. You address the situation that comes. I think, too, one of the things in competition that I learned was God really calls us each of us just to be the best that we can be, whatever that is. I never had a goal, “I want to make X amount of money or win X amount of tournament.” It was, “I want to be the best golfer I can be.” That just means that I practice and prepare the best way that I can. And then when I’m playing, I need to give 100% on every shot I hit and to play in a way that would honor God. And that really was what my goals were, which were things that you can control. You can’t control the outcome. You can control your preparation and then while you’re doing it. I think in life it’s the same thing. God calls each one of us just to be the best people that we can be with the talents and the gifts that He’s given us. That’s what I’ve tried to do. 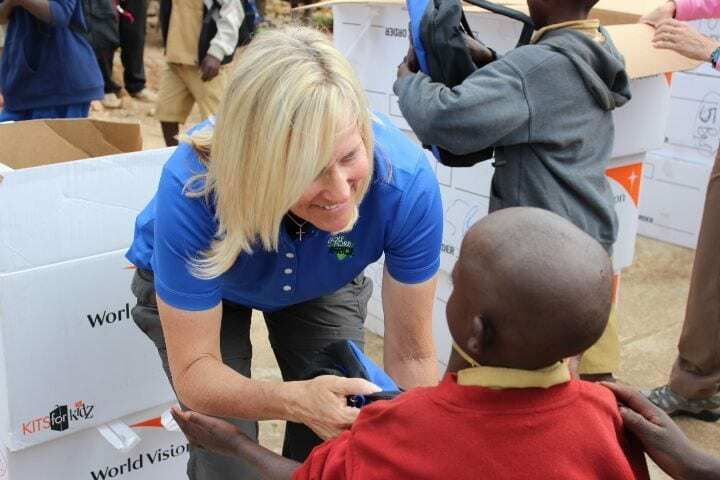 To learn more about what Hall of Fame golfer Betsy King is doing, visit www.GolfforAfrica.org.